One of the things I’ve done to treat myself recently, was to buy an Apple Watch. It’s stainless steel, space black, and I love it. Things I’ve done with my Apple Watch: Checked the time, sent and received a text, sent and received a phone call, Shazamed a song, bought a candy bar from a vending machine, checked my pulse, counted my steps, kept track of my calories, checked the weather, got turn by turn directions, did some deep breathing, used it as a TV remote, and, drum roll….. took a shower. Anyone who knnows me, knows that I am a huge Apple fanboy. I have an iMac, a MacBook, an iPad, and iPad Mini, and an iPad Pro, an iPod, and of course a iPhone. Everyone in my household has at least two of those of their own. So when I found out that they were offering Apple Camp to teach 12-year-olds, I just had to sign up my sweet niece. Well, halfway through the 1 ½ hour class, I passed out. It turns out I accidentally overdosed myself on my antibiotics. The Apple store employee helped me find a cool place to lie down, brought me a pillow for my head, a cold cloth for my face, and a bottle of water. He offered to call someone for me, but I had already called my wife by then. He and another Apple Store employee checked on me about every three minutes, even after my wife had arrived. That’s going above and beyond. And believe me, they treat you just as well if you have a computer problem. The following day, Staff went to visit Iolanthe. He was aware that it might not be seemly, but he didn’t care. He hadn’t seen a glimpse of her in five days, eight hours. He hadn’t held her and kissed her in sixteen days, five hours. And he hadn’t made love to her in eighteen days, three hours. His plan to arrive when most members of the household were not up and about went awry when he forgot that it was the Zaeri Sabbath. As he was walking up the steps, the lizardman major-domo opened the front door and out stepped Yuah Dechantagne and another beautiful dark-haired woman. “Good morning ladies,” he replied. The two women went down the stairs and around the house, while Staff stepped in the open door and waited in the parlor as Iolanthe was informed by the servant of his arrival. When she entered the room she stole his breath away. She wore a pink dress, decorated all down the front with metallic brocade in the design of stems and leaves and inset with pearls where the blossoms would be. The collar was high in back, plunging down in front, revealing her long, thin neck to its best advantage. Her auburn hair had been carefully curled, long in the back and short curls falling across her forehead. The look was completed by a pink top hat with a gauzy veil which covered her face, but did not hide those remarkable aquamarine eyes. Iolanthe held out her elbow and Staff took two steps forward to take it. The elbow wasn’t enough though and his left hand reached up to caress the side of her cheek. Her eyes opened wider, but she offered no protest. His hand followed up the line of her jaw. Staff led her by the elbow through the front door, held open for them by the same lizardman. Down the front steps, they turned left and followed the winding cobblestone pathway between the trees, rock gardens, and empty flower beds. “Oh, I doubt that will happen. Let’s sit down in the gazebo. The small white gazebo on the west side of the yard had a two person porch swing suspended from lengths of small steel chain. Staff held the swing steady to allow Iolanthe to sit down, a purely chivalrous act since the chains were hung so that the swing moved only a few inches either way in any case. He then sat down beside her. Iolanthe’s neck stiffened and she slowly turned to look searchingly at his face. She found what she was looking for. If you’ve never heard of Perry Rhodan, check him out on Wikipedia. In Germany, he’s like Star Trek and Star Wars all rolled up in one– hugely popular. 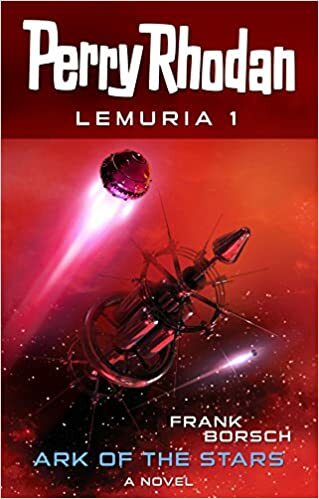 Back in the 70s, there were English translations of the first hundred or so Perry Rhodan adventures (out of nearly 3,000), and I was really into them. I remember taking a cross-country trip with my family and stopping at every grocery store and bookstore and news rack in every town we stopped in, trying to piece together my collection. Well, now a six-part storyline from the Perryverse has been translated and published and is available at your favorite ebook store. I haven’t read it yet, but I plan to. Ain’t nostalgia great? For my birthday a little over a week ago, I got several very nice presents from my family, including a new Apple TV set top box. We’ve had the previous (3rd gen) for a while, as well as a Roku box in the other room. Both of them are good. 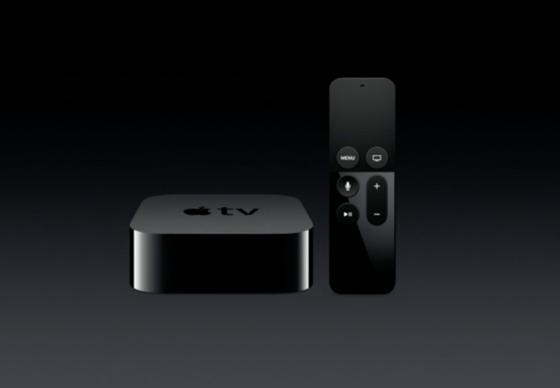 The new Apple TV though has a potential to be much more. It will all depend on what kinds of apps come out for it. I’ve downloaded a few games, but mostly we’re still using it like the old Apple TV, which means we’re not yet getting our money’s worth. As you read this, I’m back home and probably happy to be so. As I write it however, I’m sitting poolside at the Airport Merriot in Los Angeles. It is a mostly cloudy 75 degrees, so it’s quite pleasant and even though I’m out in the middle of the deck, it’s not too sunny. Sadly, there are no bathing beauties walking around in barely there bikinis– Just a couple of families splashing and talking around the pool. Of course there could be women looking at me and thinking much the same thing, in reverse. I’m sitting here in slacks and a shirt, because I didn’t pack a swim suit and forgot to even pack shorts. There you go. Not that my choice of clothing would make much of a difference. Even old ladies are not particularly interested in what a fat old man is wearing. Hey! There’s guy that looks just like George Lucas! Nope. Not him. Great hair though. I updated my two Macs to OS X El Capitan this week. While my iMac is better than ever, and had no problem, my little macbook air decided to turn into an expensive brick. Between the fact that Macs are pretty easy to troubleshoot and the fact that it wasn’t my first computer crash rodeo, I had it back up and running after about 6 hours work. That includes getting all my apps and files restored. I was really happy that I bought Microsoft Office from Amazon. I was able to redownload it and get my install key from the Amazon site lickety-split. Nice to have them looking out for me.